Chris is a member of the Massachusetts Historical Society, the Boston Athenaeum, and the Bostonian Society. He also enjoys golf, tennis, poetry and literature. 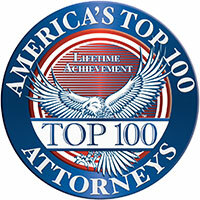 Chris is one of the most accomplished trial and appellate lawyers in the United States. He has tried more than 75 cases to jury verdict in federal and state courts across Massachusetts and in several other New England states. His clients include publicly traded and privately held companies, insurers and reinsurers, and individuals in complex, large risk litigation across a broad variety of matters including product liability, premises liability, professional malpractice, aviation, insurance coverage disputes and other high profile, media sensitive matters. Ironically, his love for trying cases often results in quicker resolution of cases that can be settled. Chris regularly appears for consumer product manufacturers and large retailers in matters across New England. He has won verdicts for clients in several states in cases involving the design and manufacture of power tools, industrial products, hand tools, electronic sensors and consumer appliances. In these cases, a thorough knowledge of science, design principles and industry standards is critical, and the ability to translate those concepts to a jury is central to achieving favorable outcomes. His aviation practice includes representing a Part 139 certified airport and FBOs throughout Massachusetts for over two decades. He has represented aircraft manufacturers and manufacturers of component parts in high stakes litigation involving alleged defects in both fixed wing and rotocraft accidents. He also has successfully litigated cases involving interpretation of aviation insurance policies, including a recent precedent-setting decision from the United States Court of Appeals for the First Circuit. In fact, he has argued more than 25 cases in several federal and state appellate courts. An avid historian, Chris enjoys representing universities, museums and collectors in cases involving authenticity and title to works of art and historic artifacts. He prevailed in a case tried in the U. S. District Court for the Eastern District of Virginia for an owner of a highly coveted Civil War Tiffany presentation sword that had been stolen from a university museum and appeared almost four decades later in the possession of a noted Virginia collector. The case garnered national interest among museums and collectors of art and historic artifacts. Tried over 75 civil jury trials to verdict. His clients include Fortune 500 companies, privately held corporations and individuals in jury trials across New England and other states. Argued over 20 cases to various appellate courts in Massachusetts, the First Circuit, the Eighth Circuit and other jurisdictions. Secured a temporary restraining order from the U.S. District Court for the District of Central California preventing the owner of an on-line auction from selling, transferring or reproducing documents from the confidential student file of the late John F. Kennedy, Jr. Shortly thereafter, judgment was obtained in favor of Brown University, and the file was returned. Obtained defense verdict for manufacturer in trial before the U.S. District Court for the District of Rhode Island in an action arising out of a fire in a bathroom restaurant against subrogation insurer who claimed the fire was caused by a defect in a bathroom fan/light made by NuTone, Inc. Obtained defense verdict for manufacturer of automatic doors that were alleged to have malfunctioned causing serious orthopedic injuries to an elderly woman as she attempted to enter a CVS store in Cambridge. Obtained defense verdict for manufacturer of ceiling fan alleged to have malfunctioned and caused multi-million-dollar loss in a New Hampshire office building. Obtained defense verdict for a manufacturer of a heater alleged to have malfunctioned causing multi-million-dollar loss at a condominium complex. Obtained Judgment in Detinue (replevin) under Virginia law of a Tiffany Silver Civil War presentation sword stolen in the 1970s that appeared in the possession of a private collector almost 40 years later. Argued successfully for reversal of summary judgment and entry of judgment for the defendant on Constitutional personal jurisdiction grounds before the United States Court of Appeals for the First Circuit. Argued successfully for the affirmance of judgment for aviation insurer before the First Circuit Court of Appeals in a precedent-setting case involving interpretation of an aviation insurance policy subscribed to by several Lloyds's syndicates and managed by United States Aviation Underwriters. Obtained defense verdict for manufacturer of pneumatic fastening tool that plaintiff claimed was defective because it lacked a sequential trip trigger and caused severe injuries to user. Obtained defense verdict for restaurant / entertainment chain in action by adult claiming serious injury using recreational product with child. Tried successfully Declaratory Judgment case for insurer voiding coverage for material misrepresentation in policya pplication. Argued successfully before the Supreme Judicial Court and obtained judgment affirming summary judgment for commercial premises owner in catastrophic accident and adopting Restatement (Second) of Torts sec.314 as state law. Won defense verdict for press brake manufacturer in multiple-amputation case. Secured directed verdict for Part 136 Airport in case alleging serious injury to an elderly woman from negligent design of terminal egress area. Obtained recovery in replevin in Middlesex Superior Court in Massachusetts of a Civil War artifact unlawfully removed from a museum. at an Ivy League University. Smith Duggan Prevails Before Supreme Judicial Court for Stanley Black & Decker, Inc.
Smith Duggan Partners Recognized in the 2019 Edition of "The Best Lawyers® in America"